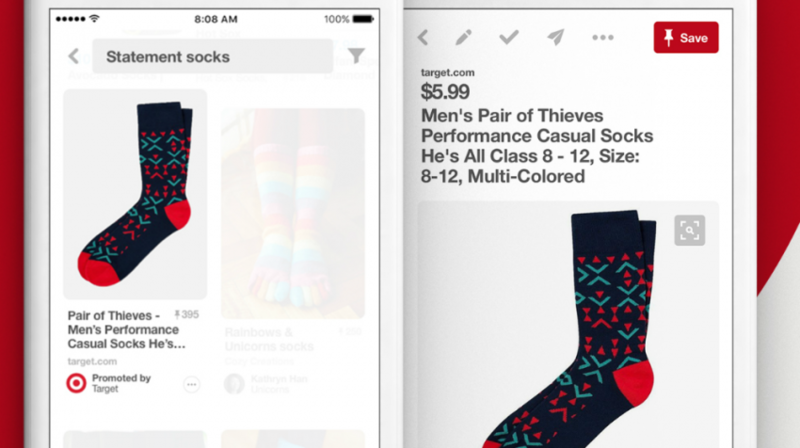 Pinterest recently introduced a Search Ads feature with a dozen new clients who will now join a batch of brands including Target, eBay and Home Depot already testing the new service. Until now, you could only run Ads using promoted pins, but these ads would only appear alongside relevant searches. Now, with the update, the ads will appear right after someone types in searches. The ads will run like all PPC campaigns and they will be automatically created from the product inventory, so advertisers will have the option to pay for impressions, pin clicks and engagement. Additionally, the social network introduced ad groups, which work almost the same way they do on Bing or Google. Bids are optimized at the keyword level, and marketers have the ability to see insights into how users are Pinning images, including the names they are using to save the information. For now, the service will only be available to a few select advertisers through the Kenshoo platform, but expect this to change in the coming months as additional third-party providers get into the game. It is also highly-likely that at some point Pinterest will introduce a self-service platform. Pinterest reaches 150 million unique monthly users and sees more than 2 billion searches per month, most of them for services and products people want to buy. The Search Ads update will definitely make the platform even better for advertising.